Pre- and postnuptial agreements can be helpful to couples in providing reassurances before or during marriage, and in avoiding expensive battles later on. Pre- and post-nuptials agreements are simply contracts that sets forth what will happen to the parties assets and income in the unfortunate event of a dissolution or death. However, if these agreements are not drafted with enough specificity, they may be unenforceable. For this reason, working with an experienced attorney in your area in formulating your pre-nuptial or post-nuptial agreement is absolutely necessary. For example, in Florida, certain provisions that accompany divorce cannot be waived via prenuptial agreement, such as child support. Thus, knowledge of local laws is necessary in crafting these agreements. 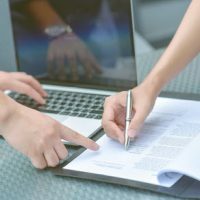 In addition, you need to work with someone who has experience in both drafting these types of agreements and dealing with their enforceability. Florida courts, for one, are not necessarily going to extrapolate from certain language. For example, if a prenuptial agreement addresses property owned prior to the marriage, but fails to address the enhancement value of that property, the court may find that the prenuptial agreement does not cover that enhancement value, and thus it is subject to equitable distribution in the event of divorce. Any ownership rights in life insurance policies, amongst other rights. Prenuptial agreements can be especially helpful for couples who are remarrying for the second time, particularly where there are children and families created from previous marriages and inheritance issues need to be spelled out. Also keep in mind that some couples have found that postnuptial agreements can be helpful in allowing them to take a pause before moving forward with separation or divorce. Some have even commented that the simple act of sitting down and analyzing the impact of various financial decisions and any subsequent stress it is having on a couple’s emotional life after getting married can be surprisingly cathartic and helpful. The family law attorneys at the Arwani Law Firm have been preparing and negotiating prenuptial agreements involving significant assets and other issues for our clients in Orlando and surrounding areas. We can help you approach this important document with confidence. Contact us today to find out about next steps.